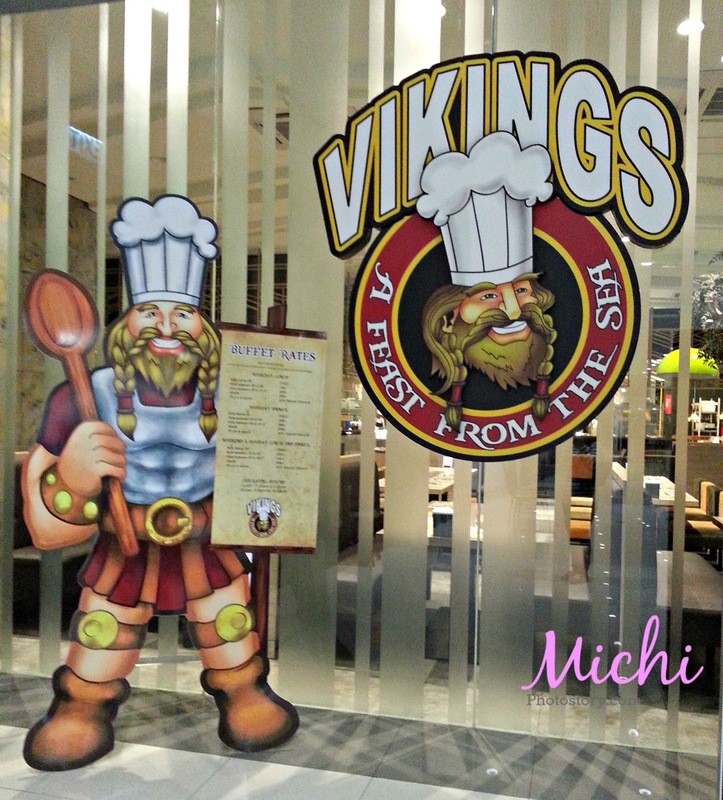 Vikings is one of the popular buffet restaurants in the metro but it was only last Friday, I was able to try this restaurant. The only branch I knew is in SM MOA so I was glad when my friend told me that there is Vikings at SM BF. Malapit- lapit na sa amin. I have a friend who is migrating to USA so we decided to have get together. The reunion was almost cancelled because the reason why we are having a get together suddenly booked a flight to province. 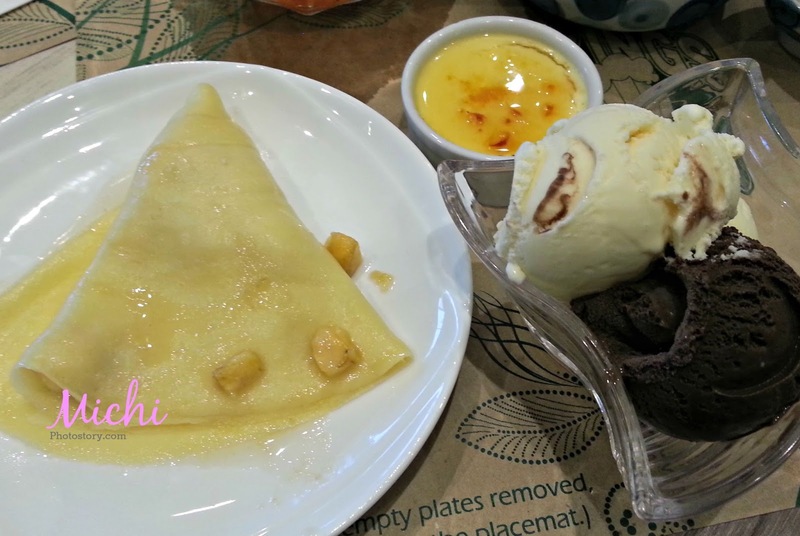 Anyway, we decided to push through our get together because it’s been a while since we ate at buffet restaurant. We left early para mahaba haba ang chikahan, we were in SM BF as early as 9:30AM and I was surprised na pwede na pumasok or is it because they have weekend sale. We went to Vikings but they will accept walk-in reservations at 10AM so we had to wait. We went back at 10AM to make reservations and waited there until 11AM. I asked the staff about the birthday promo because we are two August celebrants and they told me that only celebrant will be free. I said ok. At 11AM, they started to call reserved guests then the walk-in guests. 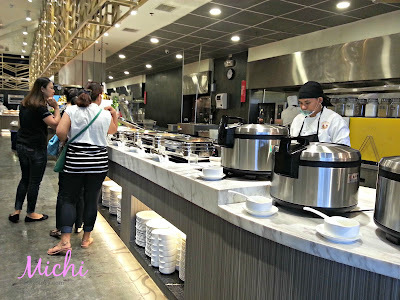 There are Japanese station, Appetizer and Salad station, Veggies Station, Asian and International station, Italian station, Grilled station, Bread station, Carving Station, Dessert Station and Drink Bar. 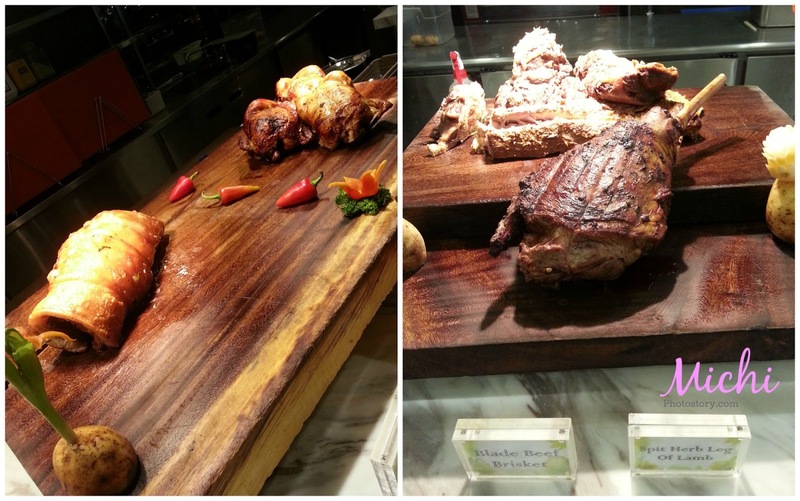 Of course, I’m a meat eater so I went straight to the carving station. 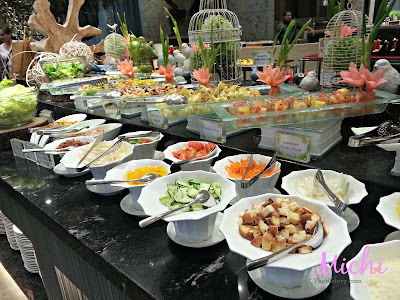 What I love in the carving station is they have different sauces that you can try. Steak is ok but I love the lechon belly. Then I went to Japanese station for ebi tempura and miso soup. The miso soup is inside this cute teapot. 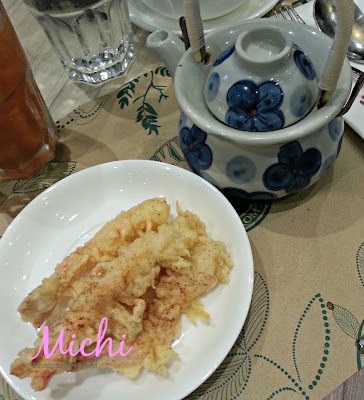 Then I went back again for another round of ebi tempura. Hehehe! I checked the grilled station and the only thing I liked was the salmon. At 1PM, I got our bill and I told the staff that we will just avail the Citibank promo instead of the Birthday promo since it is cheaper. 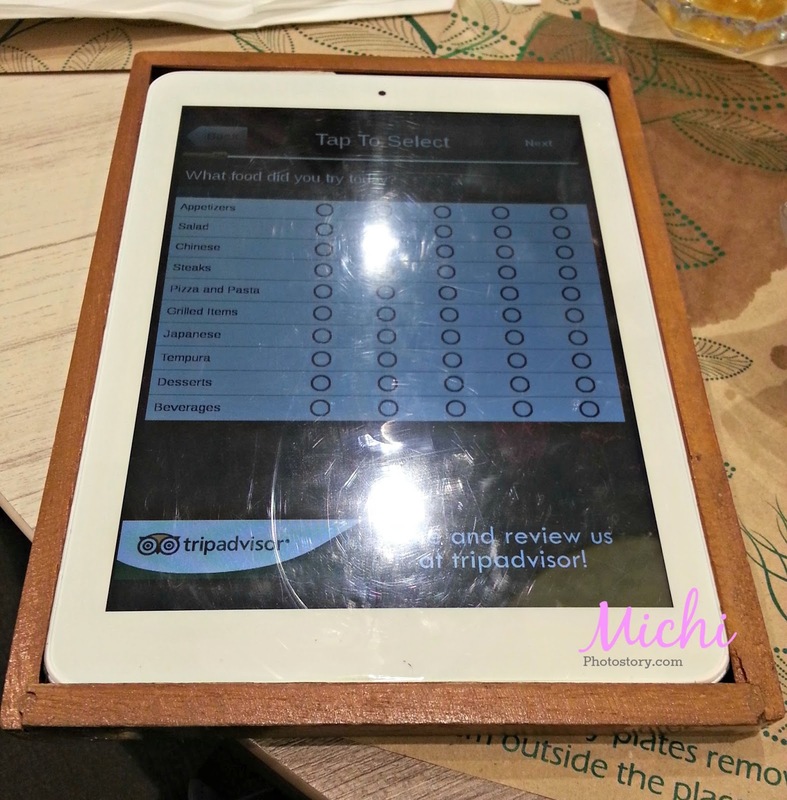 We’re all set to go and just waiting for our friend who went to the restroom when the staff went to our table. Oh di ba, akala namin on the day celebrant lang ang may sing and dance. So naihabol pa bago kami umalis. 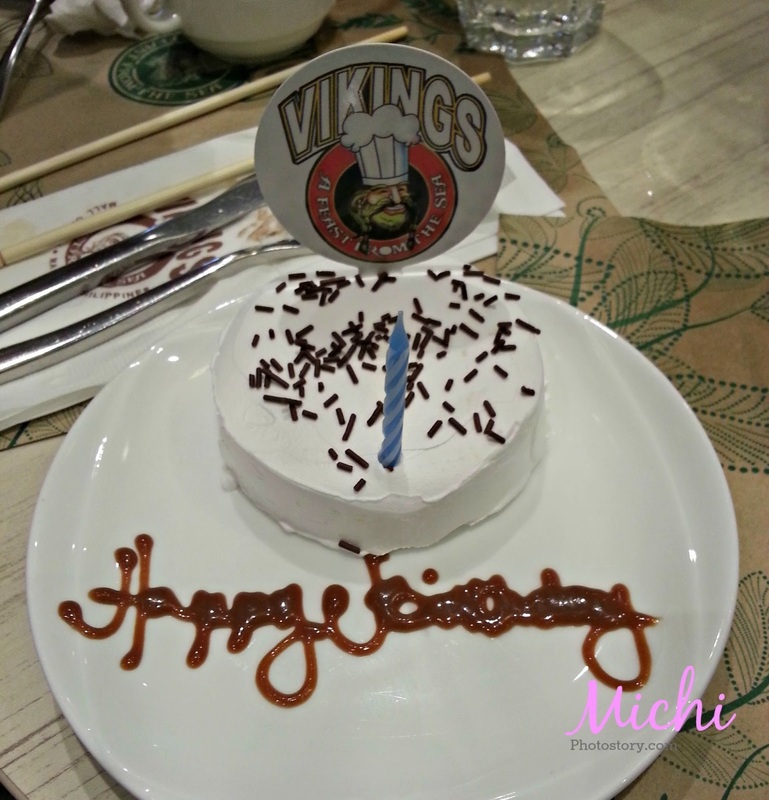 My friend wore the viking hat, the staff place the happy birthday banner at her back and started to sing and dance. It was a very entertaining performance. 1. I like the interiors. 2. The service is good. The staff is happy to refill our hot tea and water. If you need anything, they will gladly serve it to you. 3. I like the birthday greetings for the birthday celebrants. 5. The buffet rate includes unlimited drinks too. 1. I mentioned that we’re two August celebrants but they only greet one celebrant. I know that there will be only one free buffet, so one din lang ba ang may free cake. #bitterlangpeg hehehe! 2. Few food selections for grilled stations. 3. I hope there are ready sliced of meat in carving stations so I don’t have to call the attention of their staff, because no one is manning the carving station. Overall, we enjoyed our get together and buffet experience. I would love to try the Niu by Vikings next time. 1. 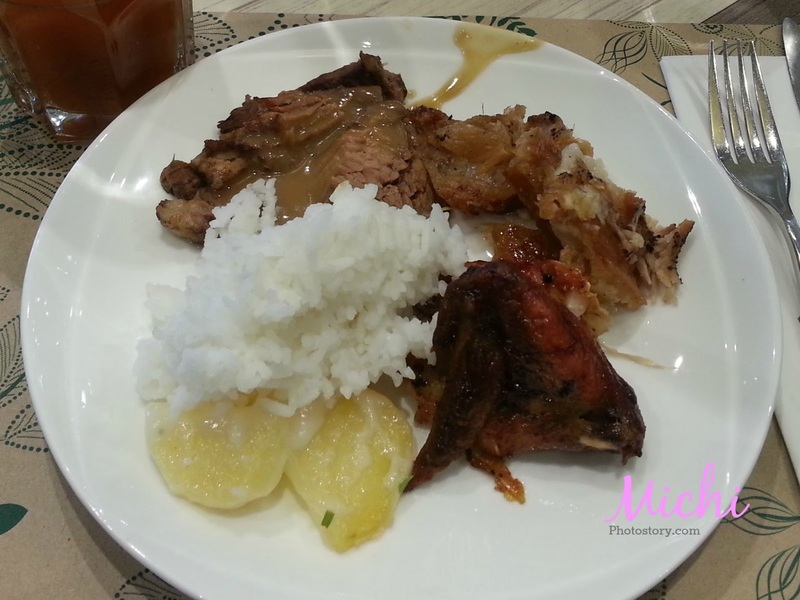 Birthday celebrant of all ages can avail the birthday promo on the day itself and on their birthday month. Each celebrant can eat for free on the day of their birthday on both lunch and dinner, as long as accompanied by ONE FULL PAYING ADULT. 2. Each celebrant can eat for free for one month on both lunch and dinner per day, as long as it is within the month of his/her birthday and accompanied by FOUR FULL PAYING ADULT. One full paying adult is adult guests who will be paying the full rate without any discounts. 3. Requirements for Celebrants: Celebrant must bring an ORIGINAL and VALID government issued picture I.D. with the birthdate imprinted on it, both local and foreign I.D.s are accepted, for proof (such as S.S.S., N.B.I., Driver’s License, Pag-Ibig, P.R.C., Barangay, Unified, Police Clearance I.D. and Passport) In the case that the celebrant doesn’t have a government issued picture I.D., he/she may bring his/her birth certificate supported by any picture I.D. (school I.D., parent’s I.D., company I.D.). 4. This promo can’t be used in conjunction with our current promotions or discounts (including senior citizen discounts). Gift certificates to avail this promo is not honored. 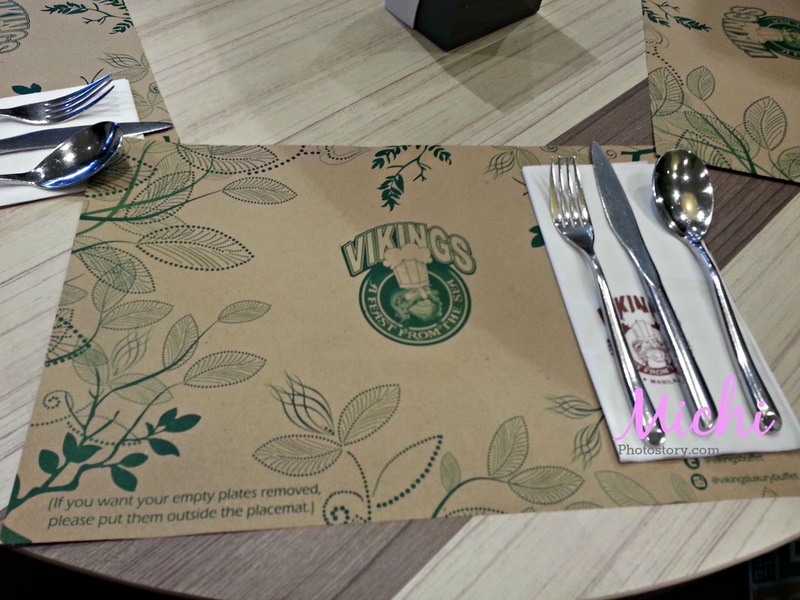 This promo is available across all Vikings branches only (except NIU by Vikings). The promo is nice. I hope that there is Vikings near our place to visit. 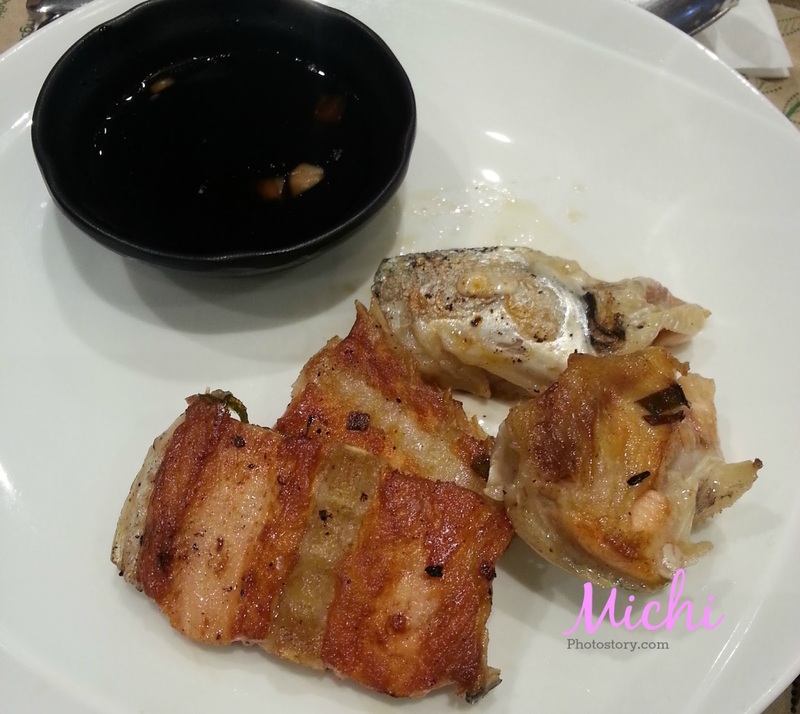 I just eat my dinner and seeing this pictures makes me hungry again. The food and the place seriously looks good and delicious. I've been eyeing on this. Vikings will soon to open here in Cebu! :) YAAAAAAAAAAY! I just hope they'll bring Vikings here in the North. I just had the chance to dine there once and it was all a rush, I wasn't able to blog about it. 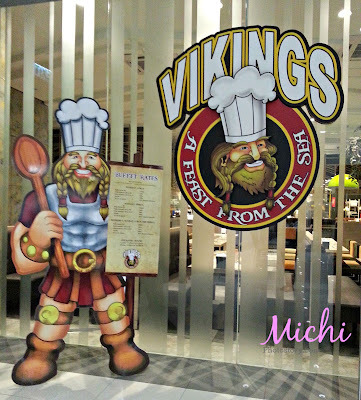 Vikings is already in Davao City I hope I can experience buffet next time I visit the city. This is what Daddy A is telling me. I would love to try Vikings too. Hotel buffet palang nattry ko e.